SOLD! 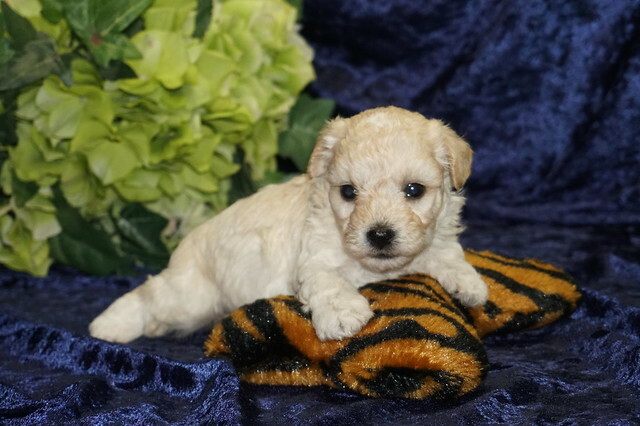 Maui Male CKC Havapoo Gorgeous Cream Color! Get ready for nonstop action with Maui at your side! This great, active boy will have you playing with him in no time. You just can’t help but want to play with him when you see him. Maui loves to go on adventures and hopes you’ll join him on them. He will grab the attention of all those around him! But don’t be deceived when it’s cuddle time he’s all in so if you’re looking for a cuddle buddy, a friend or someone that will listen without complaint, Maui is it! This precious baby is just waiting for his forever family! Don’t miss out! Waiting on my new name and my new home Chesterfield, VA.
Paying Paypal as family and friends to pay my account is my email: tlcpuppylove2gmail.com memo put Havapoo Male puppy Maui. « SOLD! Moana Female CKC Havapoo Brindle Cream Color!